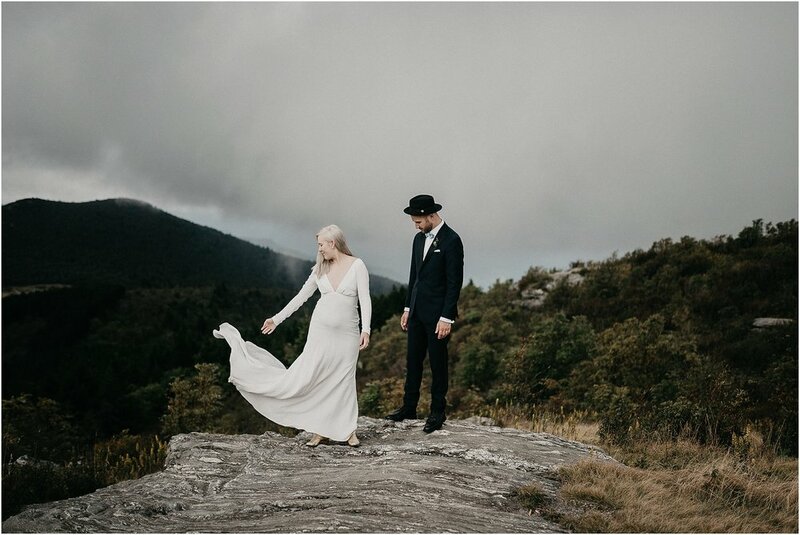 My good friends Chris and Brit came all the way from Portland, Oregon to get married in Asheville, North Carolina. 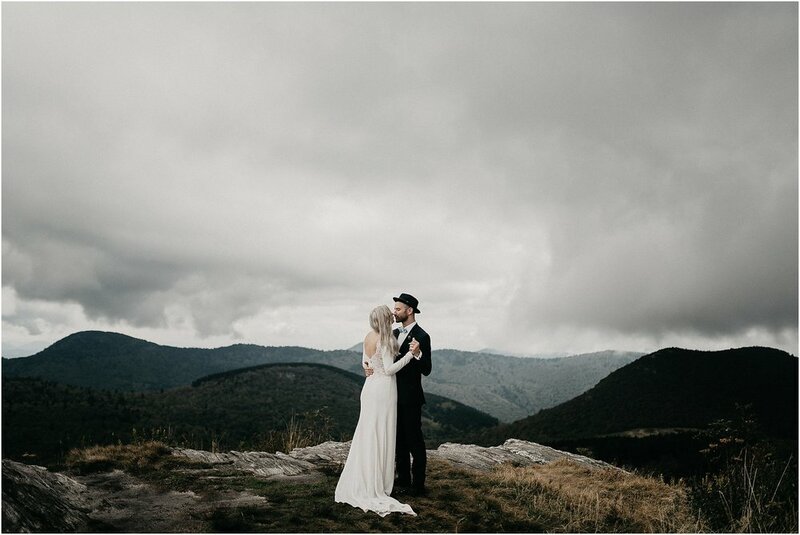 So of course we wanted to make the most of our time in this beautiful area with a day after session in the mountains. 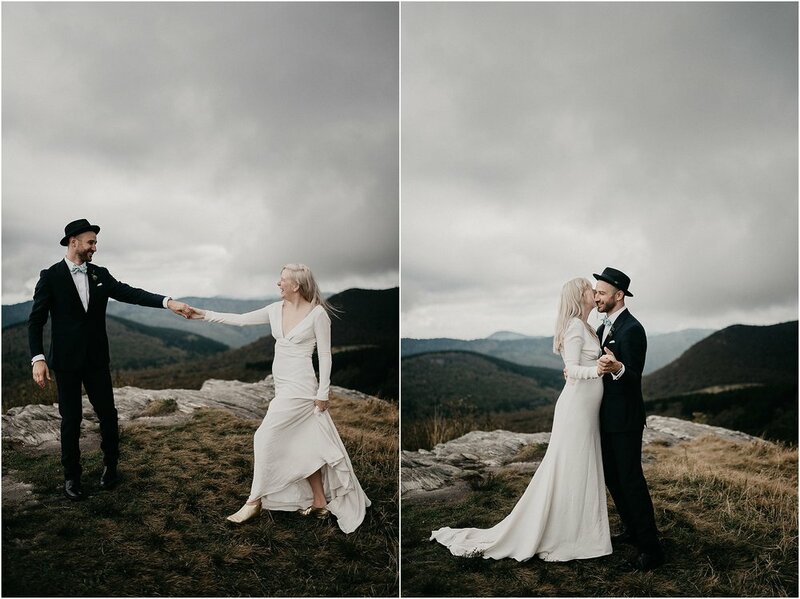 No wedding timelines, no guests, just us, the mountains, and a whole lot of lovey dovey-ness. 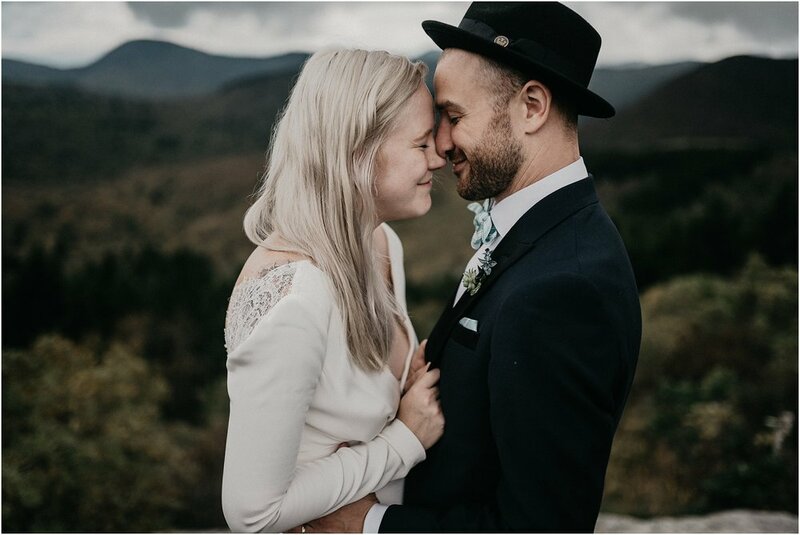 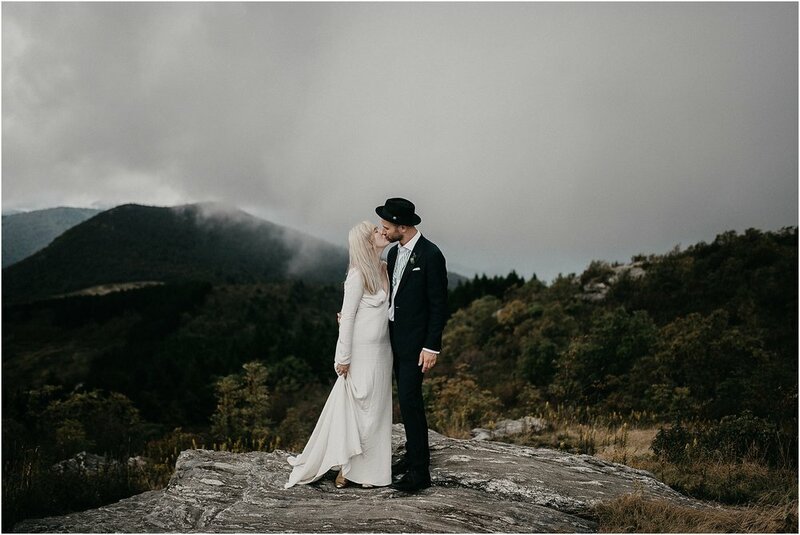 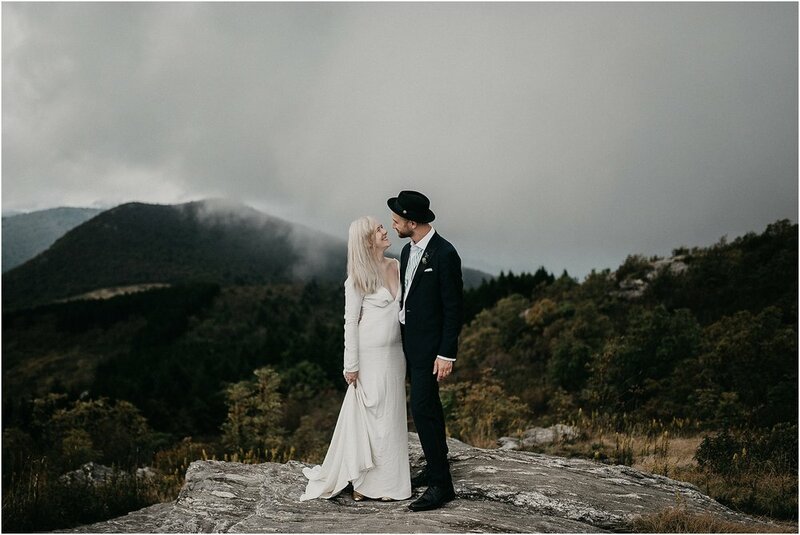 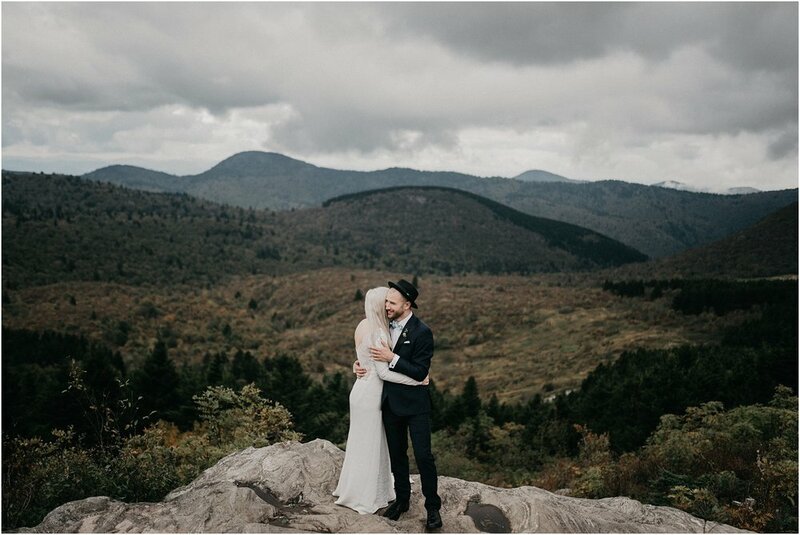 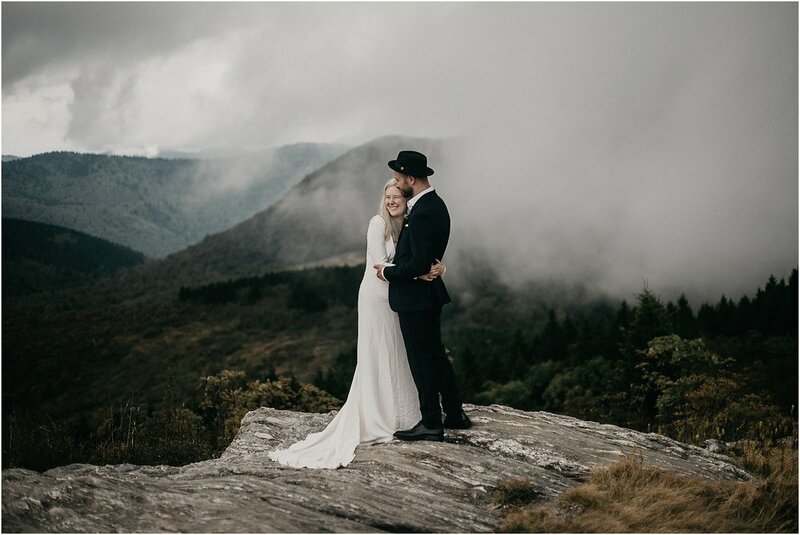 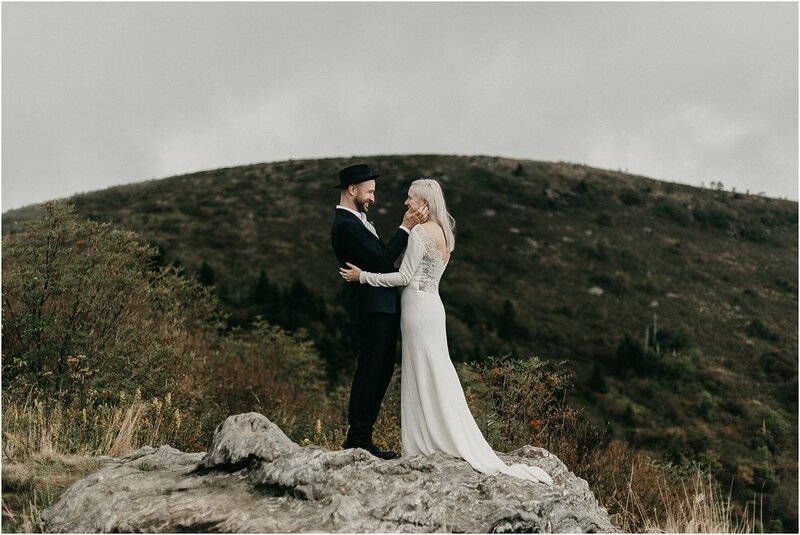 Leading up to their wedding day and day after, the weather threatened a full on sunny forecast for their mountain session. 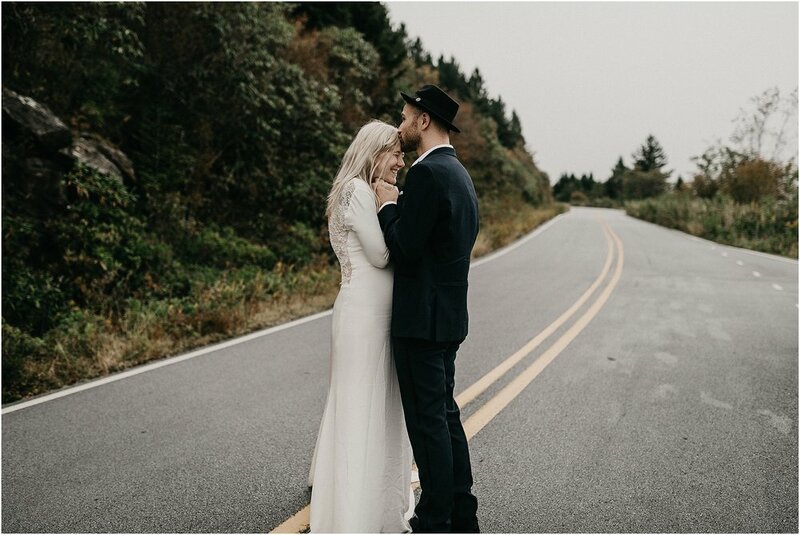 Normally this isn't a big deal, but due to some travel related time constraints, we could only really shoot in the middle of the day. 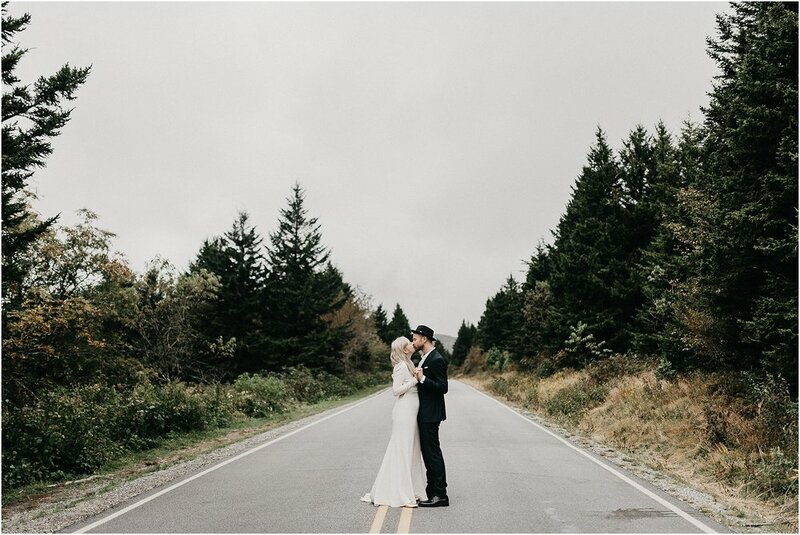 Mid day sun is not so ideal. 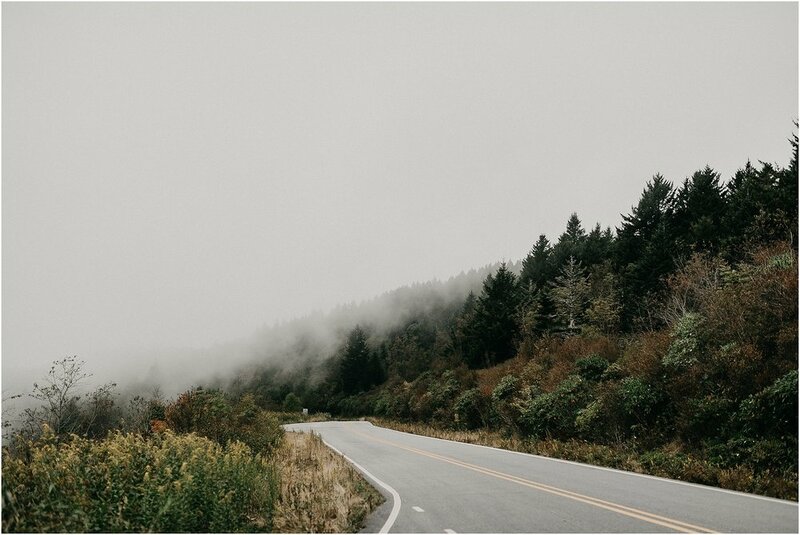 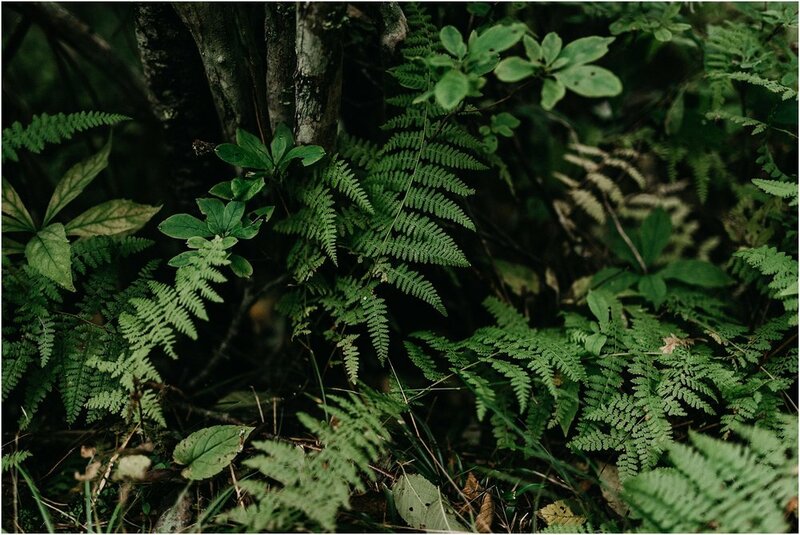 But as we drove closer to Black Balsam, it got cloudier, moodier, and my heart started to pitter patter with excitement as the fog started to hug the Balsam fir trees. 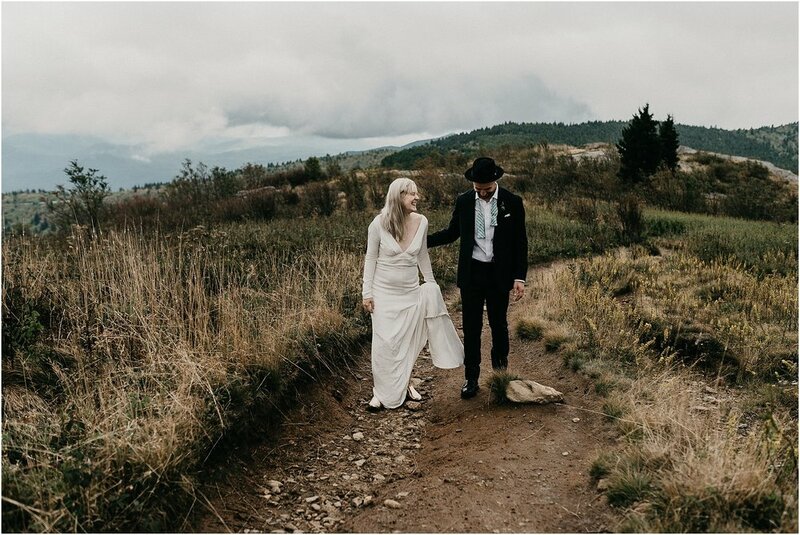 Instead of worrying about harsh sunlight, we got the dreamiest fog, watched the clouds come down and move among the mountains around us, and had the best time frolicking on the mountaintop. 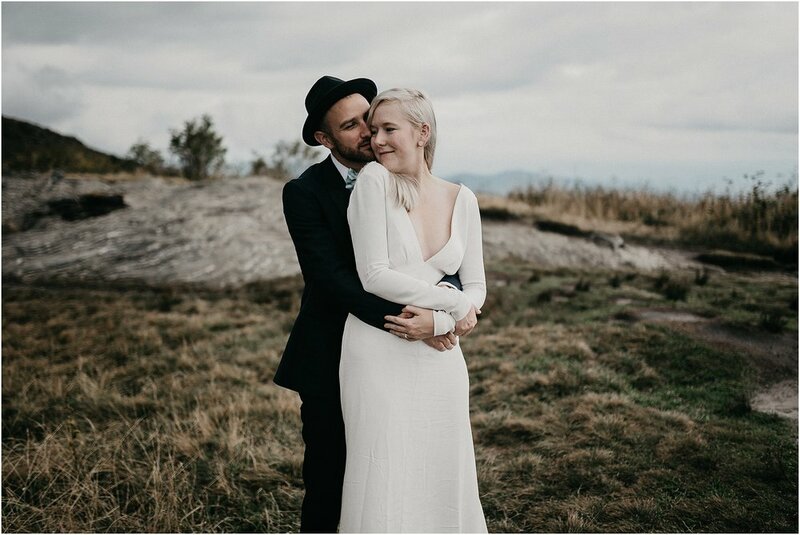 It was like the universe knew exactly what we needed.